Harnisch-Lacey Dance Theatre is committed to producing high quality original dance theatre, integrating and combining cross genre dance, music, theatre and film; and thereby challenging existing notions of stage and performance spaces. HLDT’s work offers audiences the opportunity to embark on their own personal experience. The company have a wide ranging Education and Outreach programme. All Education work is adapted to suit specific needs of participants. Artistic Director, Sandra Harnisch-Lacey is a German born choreographer and dancer living and working in the UK. Sandra was the recipient of the Sylvia Bodmer Award at the Laban Centre in 1997, and was also nominated for the Ffresh Award in 2004. 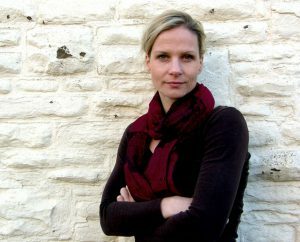 She received The Creative Wales Award from the Arts Council of Wales in 2012. Sandra has been Artistic Director for the dance programme at The Gate Arts Centre in Cardiff, as well as a visiting lecturer on the dance degree courses at both Cardiff Metropolitan University and at the Royal Welsh College of Music and Drama. Her work has toured extensively across Wales, England, Germany, France, Austria, Slovenia, Luxembourg, and Canada. Her dance dome short film ‘The Sublime’, won the Award For Innovation at an International Film Festival in the USA. Recently she was commissioned to direct and choreograph the stage version of the popular Channel 5 children’s animation Igam Ogam.